“White Chocolate” Matt Turnbull was involved in an all out war in his professional debut. In a fight that I thought could have gone either way, Turnbull came out on the wrong end of a decision back in March against Matt Skibicki. 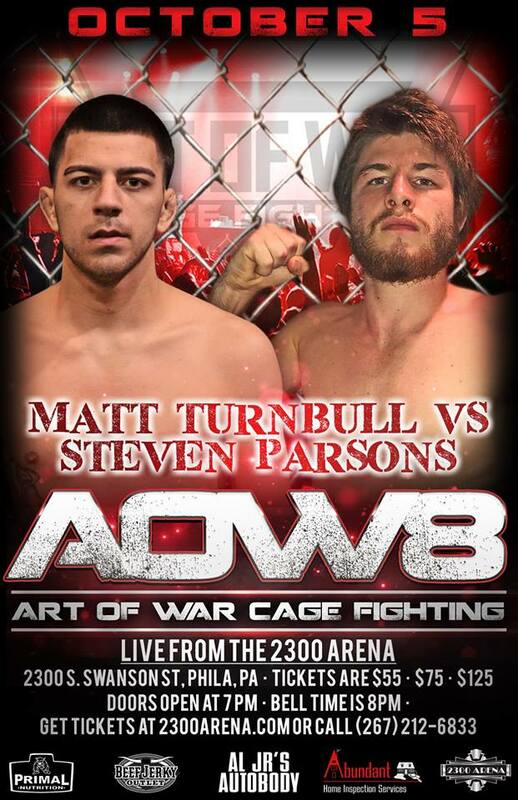 Coming up on October 5, Turnbull gets the opportunity to even up his record and get his first victory as a pro when he welcomes Virginia native, Steven Parsons (1-2) to the cage at Art of War 8 in his hometown of Philadelphia. Turnbull trains out of Martinez BJJ in Northeast Philadelphia. He is part of a deep, talented fight team whom he gives much credit to for his ever growing fight skills. Matt showed a big heart and gas tank in his last fight and he said that he proved to himself that he belongs in the cage. I stopped up to talk to White Chocolate recently to see how he was feeling and what he thought about his upcoming test. White Chocolate told me that he would love to grab a knockout victory, but a submission would be really sweet and he’s willing to do whatever necessary to get the win. Art of War 8 takes place on October 5th at the 2300 Arena and is brought to you by Bickings Promotions. 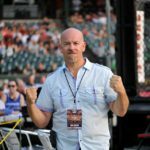 I will be cageside calling the action with Big Homie, Justin Haskell, and we will have up to the minute results and a full recap right here at MyMMANews.